Paul presents this multi-faceted concept as our protection from being beguiled, or deceived. This is such a simple program to fulfill, it is quite amazing that so many pastors work so hard trying to "preserve and protect" the flock through their many programs and often times, posturing, without even considering the ramifications of this passage. The two primary aspects of this admonition are given first—receive and walk. Since Paul is writing to believers, he words it in such a way that the assumption is that one has already, at a previous time received Jesus by faith. That is the first and most necessary step of all. If you, reader, have not yet made that all-important decision, then I urge you to do so right now. Find a bible, turn to Romans 10:9-13, read it and do it. The second step of protection from deception is to "walk in Him...as you have been taught." Herein lies a major problem for a majority of believers today—they have not been taught how to walk. Travel the country the way I have. Try to keep up with where people are in their spiritual journey, and you will soon observe that most folks are heavy-laden (Matt. 11:28) with various weaknesses, not able to stand on their own for any length of time. Any one of these may keep you from experiencing the fullness of what God has for you. 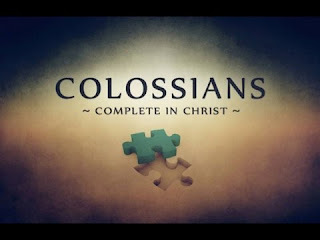 If you would like to see what the Bible says about our walking in Christ, then I have collected all the verses from the epistles that mention that particular thought in one form or another. Highlight this section, copy it, and then paste it into your word processor and print it out for your own study. It will be highly informative. Plus, it will give you direction for your next few days of study. Essentially, we have not been taught how to walk. We have been taught what NOT to do, but we have not been guided or coached in how to "walk in the spirit" in order to "not fulfill the lusts of the flesh" (Gal. 5:16). Notice that the conclusion of Paul's listing of the gift ministries and their purpose is "that we be no more children, tossed to and fro, and carried about with every wind of doctrine, by the sleight of men, and cunning craftiness, whereby they lie in wait to deceive" (Eph. 4:14). 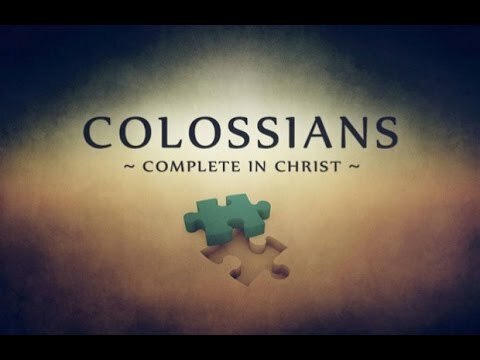 This is exactly what he is warning us about in the passage from Colossians which we are currently considering. I cannot emphasize too strongly the urgent need in this time to become rooted and grounded, built up and established in the faith that is in Jesus. None are immune to the waves of deception trying to sweep away the bride of Christ (Rev. 12:15). Jesus indicated this as a distinct possibility in Matthew 24:24. My heart aches as I write this, knowing that most of my readers will agree with much of what I have said; but there are a multitude who will not read, and not heed, and go their way, oblivious to what is happening. If you are one who agrees, will you make it your ambition to alert as many as possible to the dangers before us? Will you begin with yourself, looking to what you are being fed through your church, your reading, your viewing?